verd de gris arts have just completed the most recent AFA project, a 12-month pilot called #BehindtheMask. The project involved working with Wajid Bashir from BwD Community Restart and other local support agencies to bring together a group of women at various stages of recovery: from abusive relationships, living with severe mental health problems, all were living with low levels of confidence and self-worth. The women represent a cross-section of the ethnic and socio-economic backgrounds of women in Blackburn, Lancs. Most have a long relationship with support services – through disability, ill-health, depression related to particular circumstances, e.g. full-time carer for a child with acute needs. The project was about giving these women time and space over a 12 month period to help them openly talk about and express, individually and collectively, e.g. what was holding them back, the factors that impacted on quality of life, the issues within their respective communities that were obstacles to a healthy and happier life. For some it was lack of educational / employment opportunities, for others a long-term health condition, negative experience at school and few qualifications, or depression, anxiety which made paid employment impossible. Using trusted creative methods and facilitating peer support, together we created a space and group dynamic which explored questions of change and recovery – how change could be made? who could be involved in making this happen? How the women themselves could impact on change – both in their own personal circumstances, but also for other women like them in their respective communities, their friends, family members, work colleagues etc. A key outcome was the identification of the need to “speak out “- to talk directly with the wider public of the need to change the common perception of what constituted “women like them”. The women wanted to shift entrenched cultural and social attitudes. “We are a room full of different backgrounds and cultures. But we have or are going through the same emotions and, one way or another, we like to heal others by encouraging with our words – words that are within us but like to be expressed and all that is needed is the prompt. This group gives us that environment of being free! The exhibition of writings and artwork at BBC Radio Lancashire gave the women the chance to address the leading figures committed to bringing changes for women in BwD, women like MP Kate Hollern, Cllr Maureen Bateson and Councillor Pat McFall, Mayor of Blackburn. As a culmination of the project, and to mark the remarkable progress the women had made, the group presented to delegates at the annual psychology conference at Blackburn College. Their journey of recovery has been remarkable. “Speaking in a large lecture theatre in front of professionals, academics and students takes courage. This is particularly challenging when doing so from the perspective of a service user unfamiliar with a university campus setting. The ability of these women to have the confidence to speak out is testament to the success of the Behind the Mask Project. The women taking part were inspirational and their poems and songs were moving, they clearly articulated the psychological benefits of participating in the Behind the Mask Project. Over the course of the 12-months the women were able to take ownership of the project, becoming advocates and champions for this way of working – returning to and sharing positive messages with other well-being groups, talking with family and friends. This was very much about sharing a newly found confidence with others. The women were able to develop coping mechanisms and holistic approaches to help them deal with the adverse circumstances they face in their daily lives. Working together, these women forged deep friendships and supported each other in a process of self-reflection, recovery and empowerment. 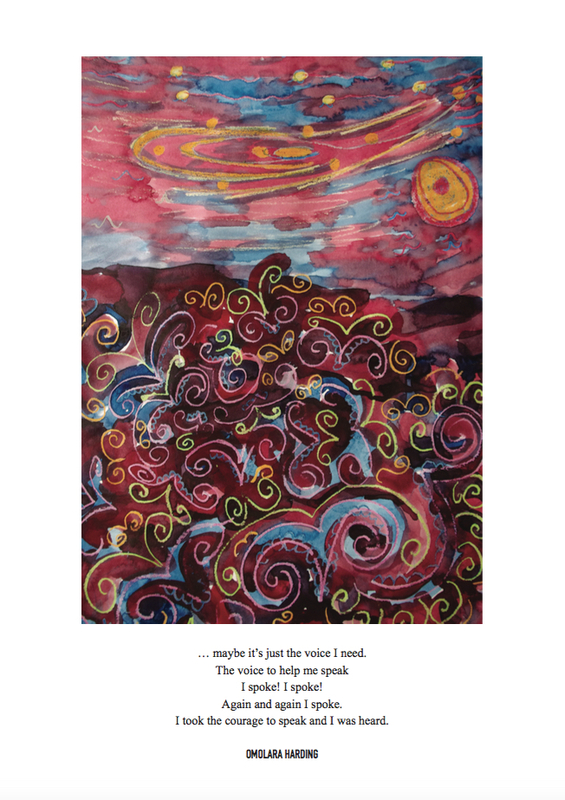 The women spoke to mixed audiences at public events, performed at poetry slams, exhibited their work at local gallery spaces. 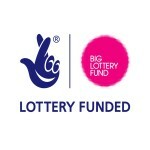 #behindthemask is supported with funding from Big Lottery through Awards for All!